Over the years, I have observed methods like this being used with increasing frequency for “classroom management” with little or no regard for what programs like this actually teach children – only for the temporary results they bring for an orderly classroom environment. These reward programs – no matter what they award: material items, food, stickers, badges in an app, etc. – are extrinsic motivation programs, and are based on the premise that children need to be bribed to behave well because they are neither able nor inclined to cooperate in the classroom activity for its own sake, or in the belief that creating a classroom environment that encourages intrinsic motivation is too difficult or time-consuming. Now, I was a music teacher. My early experiences as a performing arts teacher in elementary schools instilled in me a belief that children naturally (with very few exceptions) love to sing and dance and make music, and that if I had trouble engaging my students in class, it was my fault, due to a poor preparation (lesson plan if you must), poor choice of content, an activity that was inappropriate, a poor “read” of the particular situation in class that day – in short, children instinctively wish to engage in musical activity and if they are inhibited in doing so in music class due to their own behavior or that of their peers, it is because the teacher is not being effective. 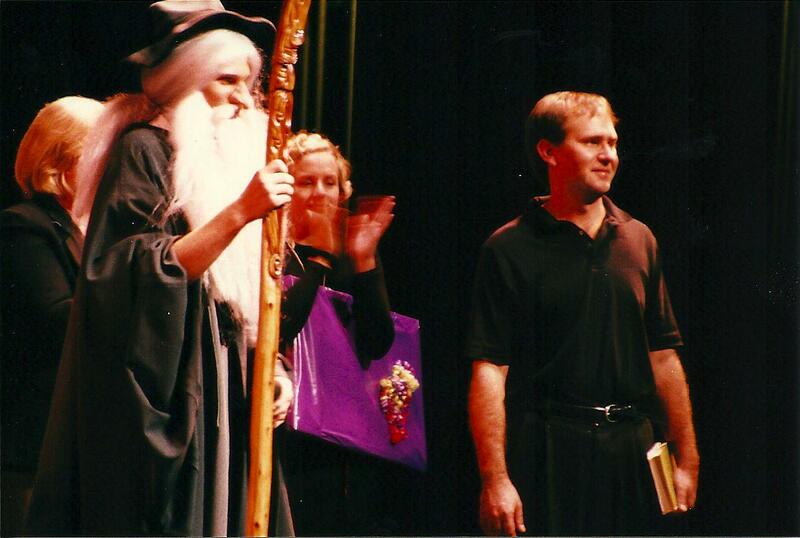 From 1999 -2003 I was the performing arts director at Carrollwood Day School (CDS), a private school near Tampa, Florida. At the time, CDS was a K-8 school with a preschool on a separate campus (it now includes a high school as well) and while I taught there, CDS won a national award for its Character Education program. CDS still incorporates these Four Agreements as a core of their Character Education program: they call them the Essential Agreement. I will always be grateful to my peers and mentors at CDS for insisting that teaching Ethics was an imperative for all teachers – even in Elementary and Middle School. The current educational climate treats teachers as merely purveyors of content with a shallow appreciation of the long-lasting impact teachers can have on students, and ultimately society. After I moved to Nashville in 2003, I worked for nearly four years at a small private school that was struggling to establish itself. Most of the teachers were inexperienced, and reluctant to insist on behavioral guidelines for the students – it was an idealistic young school, and there was a strong idea among the faculty that imposing “rules” on the students would inhibit their “organic” or “natural” development. However, it was clear to me after some months and many incidents of conflict and unruly behavior at this school that some kind of attempt to introduce the idea of social behavior be attempted, and I took the Four Agreements I had learned at Carrollwood Day School and adapted them to my new environment. Mutual Respect and Attentive Listening were perfectly realized principles, in my opinion, and so was Appreciations/No Put-Downs which I renamed, simply, Kindness. However, the Right to Pass I had always felt to be a speed bump when I taught these principles to students, and found that they chose to apply this principle most often in inappropriate situations. 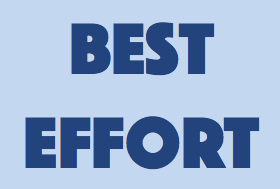 So I struck this from the list and replaced it with Best Effort, a fundamental value for any program attempting to teach excellence as a virtue worth pursuing, and the Four Practices were born. I taught them to my classes and posted them on the wall, and some of my colleagues followed suit. For the last ten years of my teaching career – in the private school where I initiated them and in the public school I taught at afterwards – the Four Practices were an integral part of my students’ experience – they were included in my syllabus every year, posted on the wall of my classroom, and after I had learned the names of all my new students at the beginning of the school year, the Four Practices were the first thing I spoke about to every class, every year. 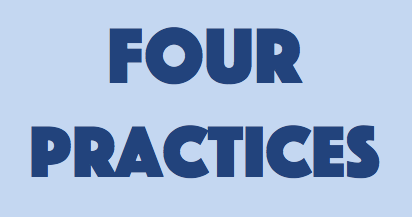 I would wager, that if one could survey all of the students that I taught in Nashville, and ask them to name Bitner’s Four Practices, the majority of them would give you a 100% accurate response. I referred to them in class, nearly every day, and they were posted on my classroom wall where everyone could see them, every day. In the public high school environment especially, there is a big emphasis on classroom rules and disciplinary policy. I was required to submit my plan for these to school administration every year. However, I found it much more practical and human to teach these Four Practices and not teach a list of rules to my students. Teaching students virtues rather than rules can have a life-changing effect on students and your program. I encourage you to try it, despite whatever difficulties you may face in your particular school and student population. You will be arming your students with ideals they can negotiate their lives with, rather than dictating a set of rules with which to get through their classes with you. I try to live these practices myself. They are not just an arbitrary set of things I think other people ought to do. I truly believe that if everybody practiced these, it would make for a better world. These are behavioral guidelines that help all of us in our interactions with others. This includes teachers and students alike. Students are expected to strive to practice these in their interactions with the teacher and with each other. I will treat others with respect at all times and can expect to be treated with respect by others, at all times. 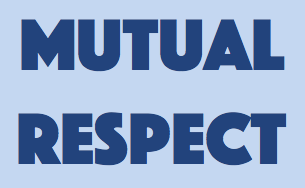 ‘Mutual Respect’ is sometimes described as the ‘Ethic of Reciprocity’ or ‘Golden Rule’. When another is speaking, I listen. 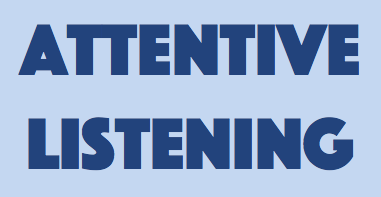 Listening means: not talking, not interrupting, not ignoring, and looking at as well as listening to the other. We listen with our whole selves, not just our ears. Kindness is how we treat ourselves, others, and our environment, every day, and goes even beyond Mutual Respect. The practical rule of application for this practice is “Appreciations and No Put-downs”. Appreciations are what we do; put-downs are what we do not do. Appreciations are things we say to or do for others that make them feel good; put-downs are things that, if said to or done to others, would not. Actions or words that are unkind are unacceptable. An interesting observation about the concept of kindness is that the idea relates etymologically to that recognition that others and I are alike or “of the same kind”. In all activities and at each moment I will do my best. This applies to my work in class, my preparation for class outside of school, and my interactions with others. By doing my best at all times I can live without regret and feel that my contribution to the community is brought forth from the parts of myself that strive for the highest ideals. This article was published in the October 2016 issue of Choral Director magazine. By walterbitner in Education, Music Education, Pedagogy, Philosophy on March 5, 2016 . Thanks. This is a great reminder. I love this, Walter. It has wide ranging applicability. I think these practices are at the heart of all effective and constructive social interactions. Thank you for articulating them so clearly! Going on my Facebook page. Thanks fir sharing this at this troubled time for our republic. these principles apply to churches also. If practised they will change the culture and bear many good fruits! So what were the consequences if one of these areas was not followed? Hi Leslie ~ sure there were consequences, they would vary of course with every circumstance, the rules of the school, the availability of a supervision for a student to go to should he or she need to leave the class, whether or not it was a repeat offense,the severity of the behavior, etc. The point of the Four Practices is to give students, teachers, and the school community clearly defined, positive behaviors to enact with each other. Usually the first response to disruptive behavior would be to point out to the student how one or more of the Four Practices were not being followed, with consequences of more severity following depending on variables like those described above. The last two schools I have worked in employ these principles and these are requisites in every lesson our class I teach. Virtues and ethics are words I like to hear and practice!